The answers Bailey Flanigan once longed and prayed for are finally becoming clear. 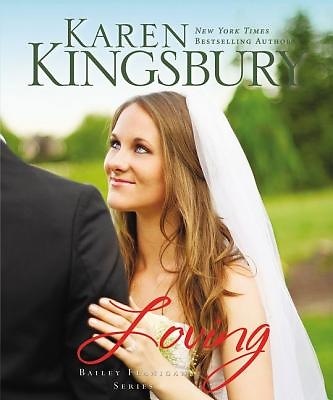 In Loving, the fourth and final book in the Bailey Flanigan Series by New York Times bestselling author Karen Kingsbury, Bailey is planning a wedding and making decisions that will shape her future. Bailey enjoys the beginning of her new career and time spent with Brandon while Cody faithfully coaches his team on and off the field. Will she spend her life with Brandon Paul in Los Angeles, or will her heart draw her back to Bloomington, Indiana and Cody Coleman, her first love? Bailey has learned much and grown over the years, but the greatest challenges, the richest joys, and the deepest heartaches are still to come. Featuring members from Karen Kingsbury s popular Baxter family, Loving completes Bailey and Cody s story --- the finale thousands of fans have been waiting for."